Powerful light in a small package. 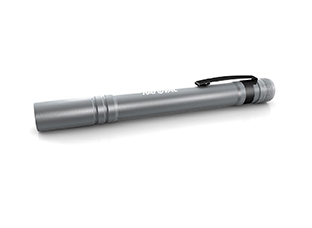 This pen light attaches easily onto a clipboard, a pocket, or anywhere else you need a bright light at a moment’s notice. The machined aluminum body gives the light a hefty feel that you’ll be comfortable taking anywhere. 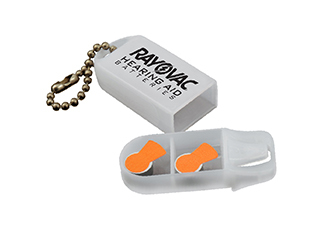 Offer your patients battery caddies to keep their spare batteries clean, secure and protected. 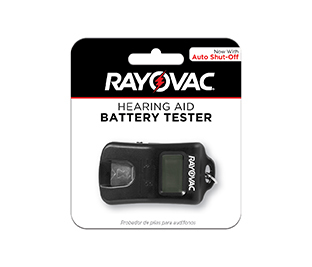 Hearing Aid Battery Testers save time and aggravation for your patients by quickly determining if their hearing aid battery is good. It features an easy to read display and a built-in battery holder. *Reported by hearing aid wearers in 2014 study conducted by a third party research firm.